Just 30 minutes Northeast of Seattle, in the beautiful Sammamish River Valley, lies a wine country that is home to over 90 wineries. Its name? Woodinville. Unless you're an oenophile and love Washington wine, you may have never heard of it, let alone been there. Most Vancouverites crossing the border tend to head to other big cities like Seattle or Portland for shopping and cultural events, or head to the coast to take in the breathtaking views of Cannon Beach. While there is an abundance of wine and beer available in the city, there's something to say about visiting a vineyard and chatting with the winemaker as you sip on their wine, be it a Chardonnay or a Cabernet Sauvignon. To complement Woodinville Wine Country's fine selection of wine, local restaurants will be dishing up delicious bites for guests to nibble on as they swirl, sip and spit over the course of the evening. Have a question about what you're eating? You'll have the opportunity to ask either the Sous Chef or the Executive Chef, who will be on hand to explain the dish, talk about the restaurant or simply chit chat. Restaurants include: Willow Lodge's Barking Frog, Gobble Restaurant, Hollywood Tavern, Italianissimo, Pasta Nova, Le Petit Terroir, Purple Café and Wine Bar and The Station Pizzeria. In addition to the new food and wine event, the popular Passport to Woodinville is back for its 11th year. Washington wine lovers, whether Canadian (me!) 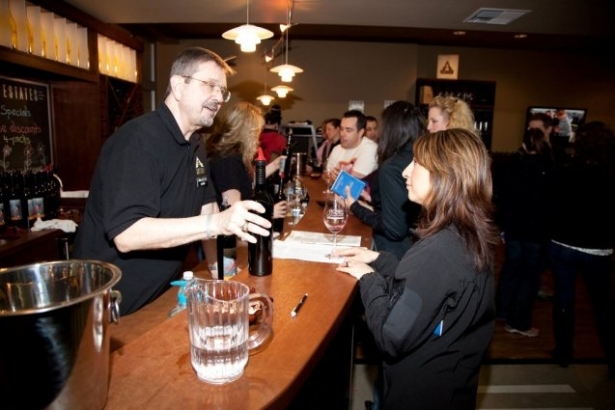 or American, will gather for a unique tasting where guests are given a wine glass and a "passport" for a one-time entry in to participating wineries. New releases and other select wines will be poured exclusively for those participating in the weekend event.